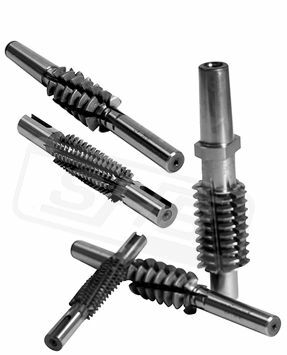 Manufactured generally to customers drawing and specifications in topping and non-topping forms shank (worm gear). Hobs can be supplied in machine relieved as well as in ground relieved forms. These cutters can be supplied in single and multi start pitches as per requirements of the user. Maximum length of the cutter (including shank) that can be had is 400mm.